An undersupply of housing could lead to a housing affordability crisis in Melbourne, finds a report, as Bernard Salt predicts Melbourne's population will shoot past five million by 2021. An undersupply of housing could lead to a housing affordability crisis in Melbourne, finds a report. Immense population increase combined with a lack of suitable new dwellings for families is likely to create strong long-term growth in house prices - raising fears this could spark an 'unaffordability' crisis. Data from the Australian Bureau of Statistics (ABS) shows Melbourne is Australia's fastest growing capital city, recording its highest ever net annual population increase of 125,400 with a very high growth rate of 2.7 per cent in the years 2016-17. This has led demographer Bernard Salt to predict Melbourne's population will shoot past five million by 2021, and past eight million by 2050. Mr Salt also anticipates Melbourne could eclipse Sydney as the most populated capital of Australia by 2030. A report by the Victorian state government forecasts the city will need 1.6 million new homes over the next 35 years to account for this. The report, Plan Melbourne 2017-2050, states "the issues that need to be addressed include housing affordability, the types of housing available to cater for different household needs and lifestyles, and the provision of medium- and higher-density housing close to jobs and services". Earlier in the year, Melbourne topped the list for Australian housing hotspots, making the city one of the biggest growth areas in the nation. Gil King, CEO of the Real Estate Institute of Victoria (REIV) told WILLIAMS MEDIA that buyers are being priced out of inner-city areas, which leads them to move further out, downsize to a unit or townhouse or to rent. "House and land packages further from the city offer buyers an opportunity to get a foothold into the market without compromising on space or amenities. The REIV has seen strong price increases in many of these growth areas," Mr King said. Shane Garrett, Senior Economist for the Housing Industry Association told WILLIAMS MEDIA the building boom, an increase in infrastructure projects and a growing services sector are to thank for the city's booming population. “The remarkable performance of Melbourne in this year’s Hotspots report demonstrates how well the circle of job creation, population growth and new home building can boost an economy," said Mr Garrett. “With a large volume of work still to be commenced, no downturn evident in approvals, and population growth still exceeding 2 per cent, Melbourne and its surrounding areas are likely to produce many hotspots for building activity going into 2019," Mr Garrett continued. Doron Peleg, CEO of Riskwise Property Research says the sharp rise in dwelling prices in Melbourne, particularly over the past few years, was due to the undersupply of properties suitable for families - meaning supply has been unable to keep up with strong demand. 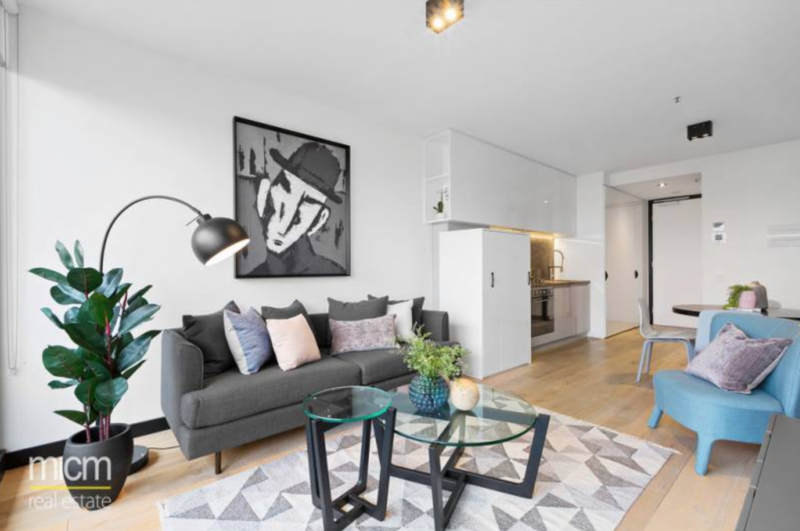 The median price for houses in Melbourne is $836,800 and for units $554,571 - but the estimated price of a 105m² unit, a size suitable for most families, sits at around $613,593 - a price just out of reach for the average homeowner. Gil King, CEO of the Real Estate Institute of Victoria (REIV) told WILLIAMS MEDIA house prices and rental vacancies are feeling the effects of Victoria’s strong population growth. "The low vacancy rate is reflective of the fact that more people are renting now than ever before: in 2001, 23 per cent of the Australian population lived in rental housing and that figure has climbed to 28 per cent today," Mr King said. "The rental and owner/occupier real estate markets are different; they are influenced by a combination of varying factors but these factors also affect each other. For example, concessions for first homebuyers may inspire people who are renting but toying with the idea of homeownership to take the plunge into the property market while disincentives such as land tax may prompt an investor who rents their property to sell it." Mr Peleg says an "imbalance in dwelling construction", particularly an undersupply of suitable dwellings for families looking for larger dwellings, has been a contributing factor to housing affordability. “Although Plan Melbourne states there has been a significant shift in the type of housing built across Melbourne, with an increase in the proportion of medium and higher-density housing, particularly in middle-ring suburbs such as Doncaster and Box Hill, especially for high-rise apartments, the supply of family appropriate, medium-density housing must be increased. 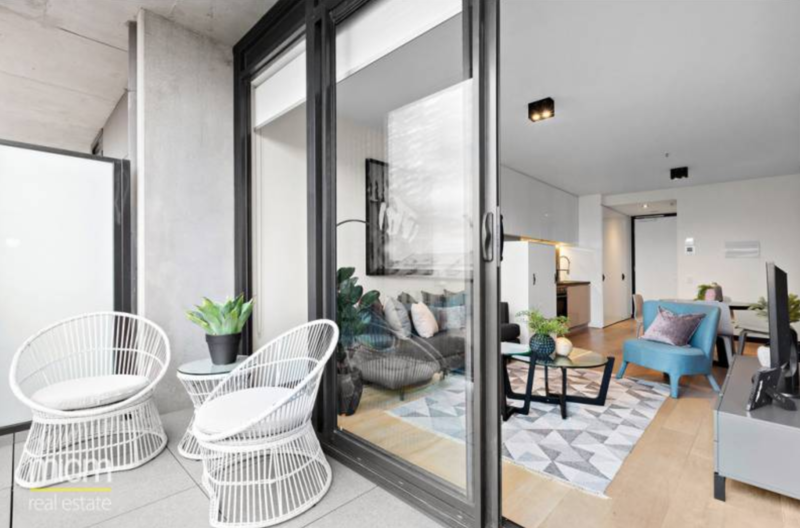 Mr Peleg says although there is an oversupply in Melbourne’s unit market, these were not popular with owner-occupiers looking for larger dwellings. In addition, Mr Peleg said the price per square metre of rental properties was generally higher than the price per square metre of owner-occupied properties, meaning rental units in Melbourne were significantly less affordable than units that were owner-occupied. “Also, if Labor were to win the next Federal election and introduce reforms to both negative gearing and capital gains tax, this will see a further result in a reduction in dwelling commencements unless measures are taken to encourage new supply,” Mr Peleg said. “Housing unaffordability and its connection with housing supply was recognised in 2008 by a Select Senate Committee on Housing Affordability in Australia stating, ‘the sharp increase in house prices in Australia reflects the fact that the supply of housing has been unable to keep pace with strong demand’. The Victorian Government’s Plan Melbourne 2017-2050 proposes to tackle the issue by facilitating an increased percentage of new housing in established areas to create a city of 20-minute neighbourhoods close to existing services, jobs and public transport, as well as provide a range of housing types in growth areas, among other moves. "Without a strategic and comprehensive solution, prices are likely to escalate"
“We advocate increasing density in middle-ring and outlying areas of the cities, provided there are adequate transport solutions, re-zoning in key transport corridors and train lines, to access employment," says Mr Peleg. "Significant increase to dwelling density along already existing transport corridors is less costly and can be delivered more efficiently than the development of new transport corridors and train lines." 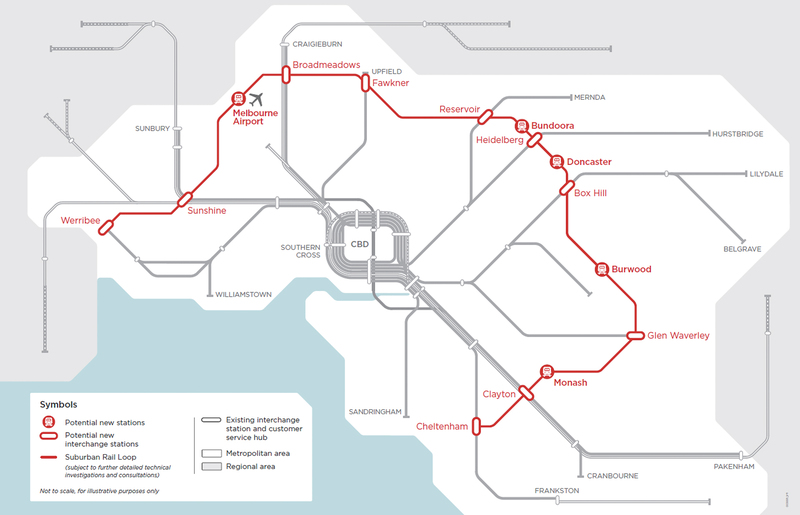 The Victorian Government has announced plans for an underground suburban rail loop. Image by Victorian Government. Related reading: Is the $50 billion Melbourne suburban rail loop the answer for congestion and housing? Mr Peleg says other measures should be undertaken at the state level, particularly in relation to planning, greenfield land releases, rezoning with a more co-ordinated approach between the states and the local governments. In addition, all tiers of government should provide incentives for meeting pre-approved development targets and increasing dwelling supply. Mr Peleg says measures should also be implemented to accelerate the planning and approval processes and to incentivise local governments that development meet pre-agreed targets in relation to dwelling supply. He says the allocation of significant funding to infrastructure upgrades in many urban and regional areas in the 2018 Federal Budget would have a positive impact on dwelling supply. "Buyers need to know where to look. There are many areas that are still within reach for first home buyers. Quality and well-planned infrastructure will be integral to the future of Victoria’s property market," Mr King told WILLIAMS MEDIA. "Price growth has been widespread across Melbourne in recent years, but it has cooled this year compared with the 2017 boom. 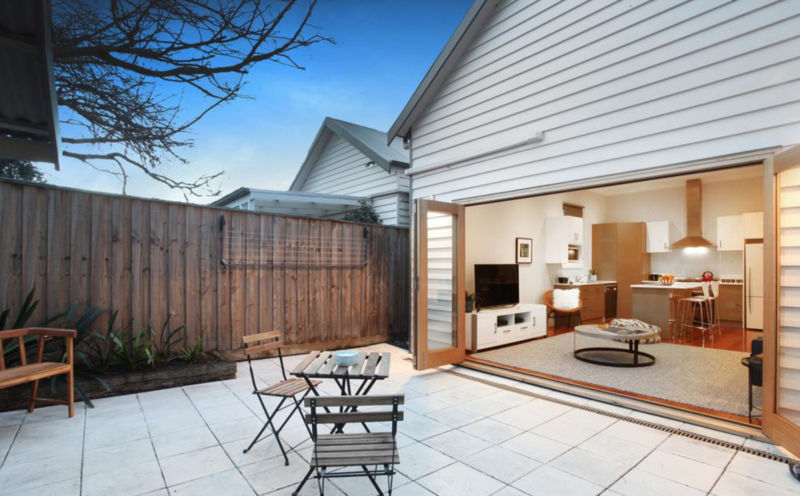 There are still many areas that offer value and are yet to meet the median house price and the regional Victorian median house price is sitting at $419,000." Is the $50 billion Melbourne suburban rail loop the answer for congestion and housing?